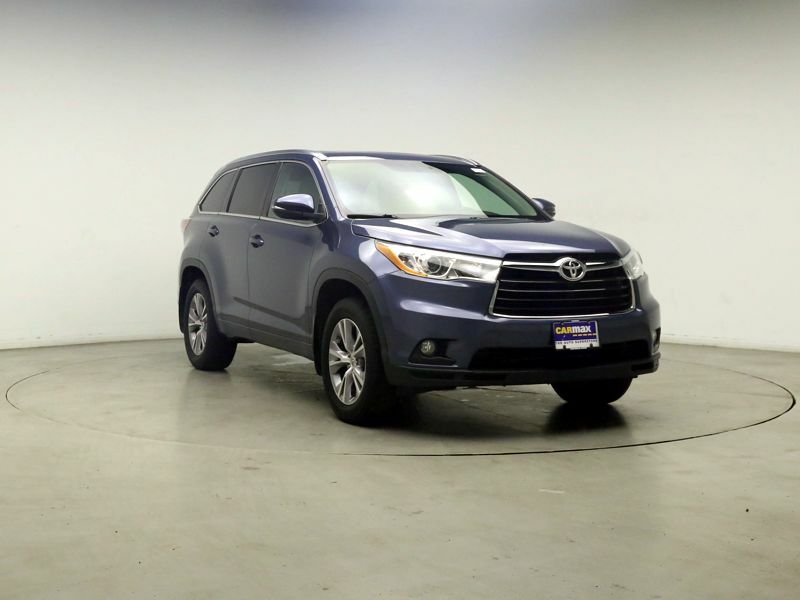 Toyota Highlander XLE Sunroof(s) Blue Ext. 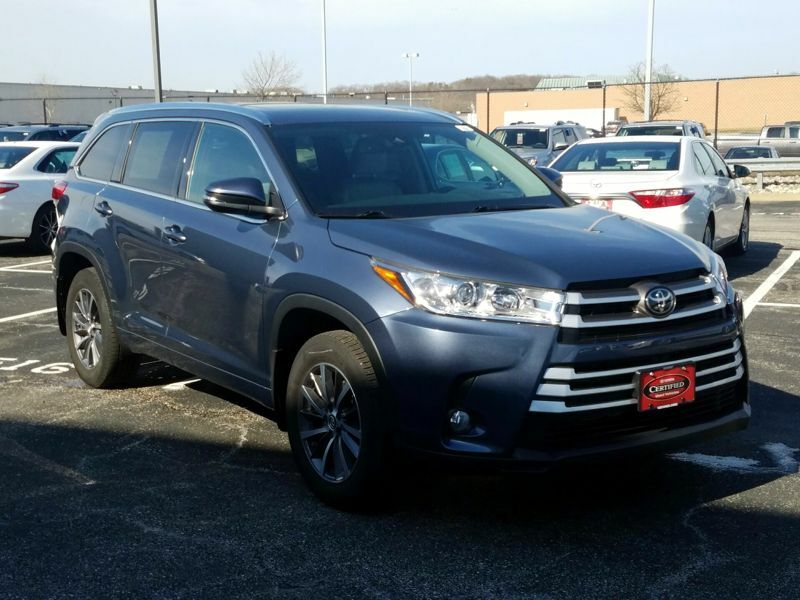 Transmission: Automatic Color:Blue Interior Color: Gray Average Vehicle Review: (4.571 reviews) I wanted an suv that offered great space for my 3 children(2teens/1 toddler). We also do alot of traveling and the optional 3rd row was a plus. (I had a minivan, but didn't always need the 3rd row). Although the 3rd row leg room is smaller it is great to have when my kids want someone to tag along and is accessible (2nd row seats fold down and slide forward). The V-6 engine is great when your hauling a truck load of kids. My only complaint is the radio and at times there tends to be lots of static. I originally looked at a 2008 Ford Escape but it didn't seem to be a solid vehicle.After searching for a suv with all the options I wanted I chose the Highlander.For being a V6 suv I can fill it up with $30, which is lesser than filling up my minivan. Would buy another one!! Transmission: Automatic Color:Blue Interior Color: Gray Average Vehicle Review: (5 reviews) Me and my family have had this vehicle for about 2 years now. We could not have been happier with another vehicle. The ride is so comfortable and smooth( almost rides like a lexus). For a Suv it gets good gas mileage. We average around 21 mpg. We have a base model but it came loaded. Sunroof, power seat, 3rd row, etc. We tested a Honda Pilot the same day we tested the Highlander. Although the Pilot had 29 more horses under the hood the Highlander felt quicker, nimble, and lively. If your interested in this vehicle for a family of 6 or more look elsewhere. I'm 5 foot 5 and that third is really mean't for little kids. although the second row seats can be moved back and forth. I wish the vehicle was slightly larger but we can't complain.We have a 2wd model but it rides well in the snow as well. Overall we are pleased with the highlander and are thinking about upgrading to a newer one. Hope this review helped.